Who does not love cheese? 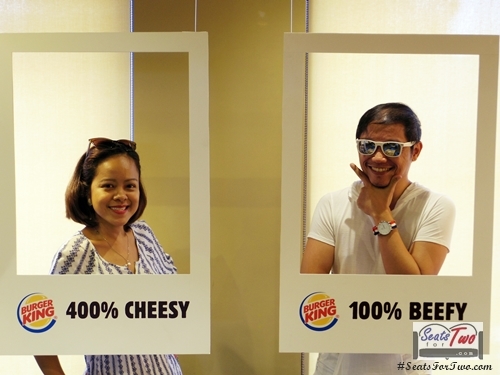 One sunny afternoon we visited Burger King along Greenhills, San Juan to grab two Burger King 4 Cheese Whopper and meet BK’s latest ambassador, Billy Crawford. The store was transformed into an afternoon backyard cheesy party. Cheesy lines from romantic comedies, chick ﬂicks, and classic cheesy expressions written in mini blackboards. 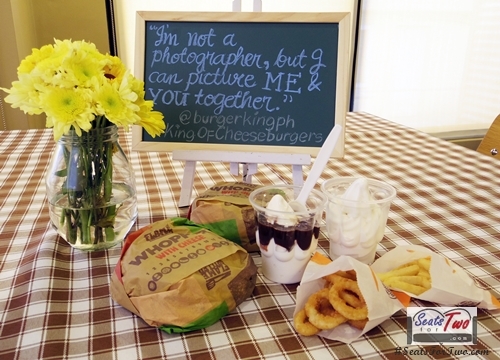 Burger King is known for its ﬂame-grilled burgers that taste just like if you had made them in your own backyard. Their patties are 100% beef, with no fillers or preservatives. A local favorite is the 4 Cheese Whopper- ﬁlled to the brim with four kinds of gooey delicious cheesy goodness atop a perfect patty, between fresh buns. It was an beefy and cheesy filled afternoon of fun and surprises. There were trivia games as well. The funny and ever energetic DJ Sam YG hosted the event. Aside from the 4 Cheese Whopper, we were served with fries, onion rings and sundae. Burger King’s X-tra Long Chicken Sandwich Meal has been my favorite next is the 4 Cheese Whopper. Look at that ooozing cheese. After the games, DJ Sam YG introduced the special guest, the multitalented performer Billy Crawford. Billy has been in the showbiz industry for a long time. He was known as Billy Joe during his younger years. Billy happily shared some cheesy moments with her girlfriend, Colleen. He’s charming and truly fit to be the king. Tune in to Seats For Two by subscribing to our blog through email and liking the Seats For Two Facebook Page. Follow our Twitter and Instagram accounts too! Overall, Burger King’s Four Cheese Whopper was pretty good. 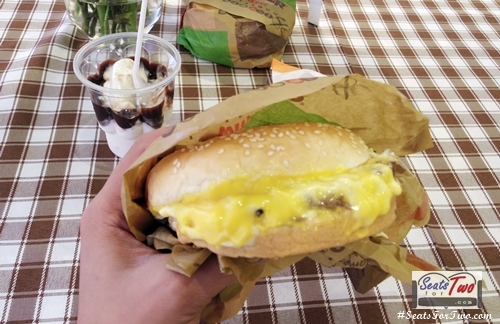 You can never go wrong with lots of cheese in a burger. It was also nice to meet the king of Burger King. 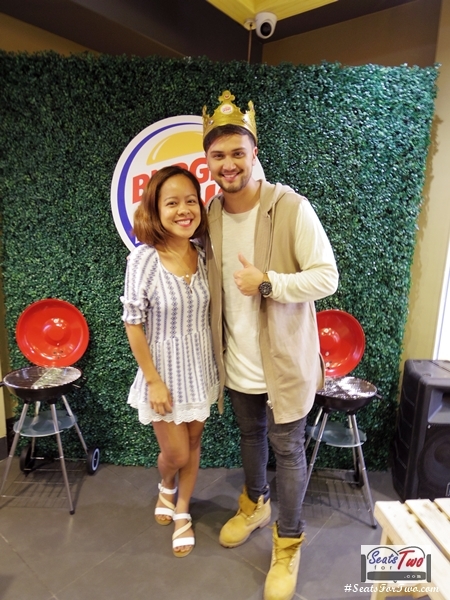 Congratulations to Billy Crawford and Burger King. 1st Macao Imperial Tea in the Philippines Opens Today! 10 Cheers for the Robinsons Supermarket Buddy Run!